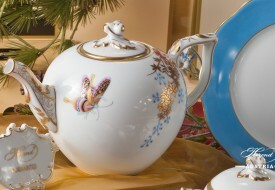 The PABA – Papillion et Bambou motifs, shows signs of Chinese influence. 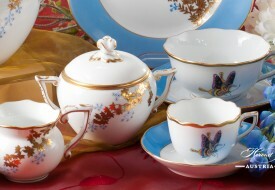 Sets drawing inspiration from the Orient have been produced by Herend from the start. 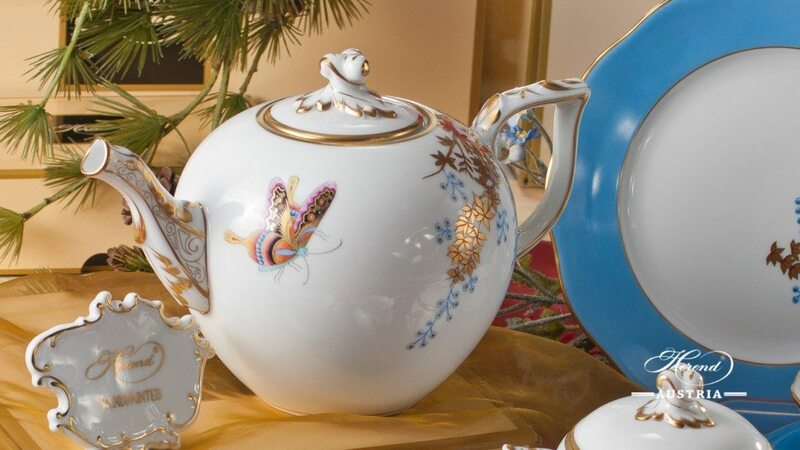 Mor Fischer, the reviewer of the Manufactory, designed many such motifs himself but rather than slavishly copying Chinese or Japanese models he tailored them to his own taste. 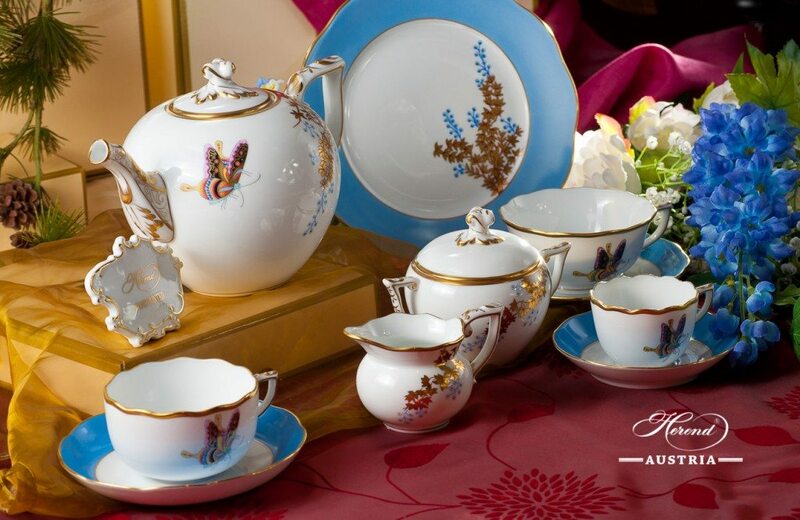 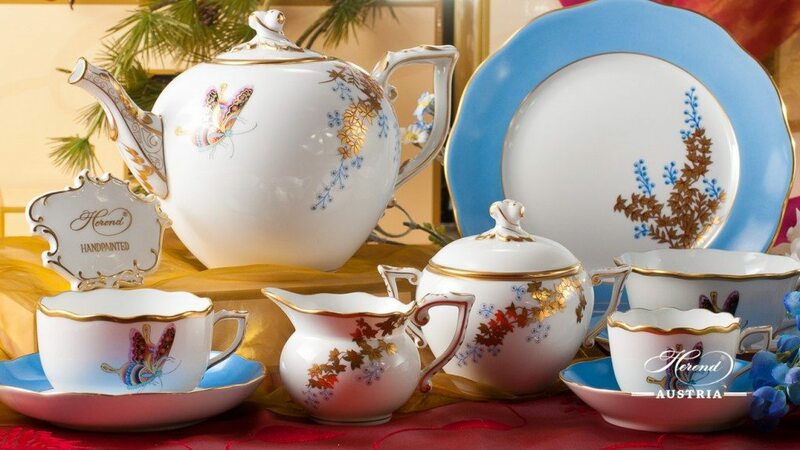 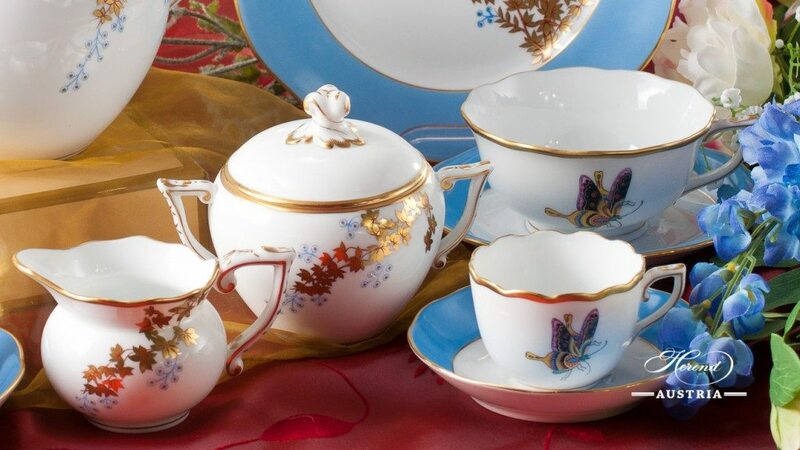 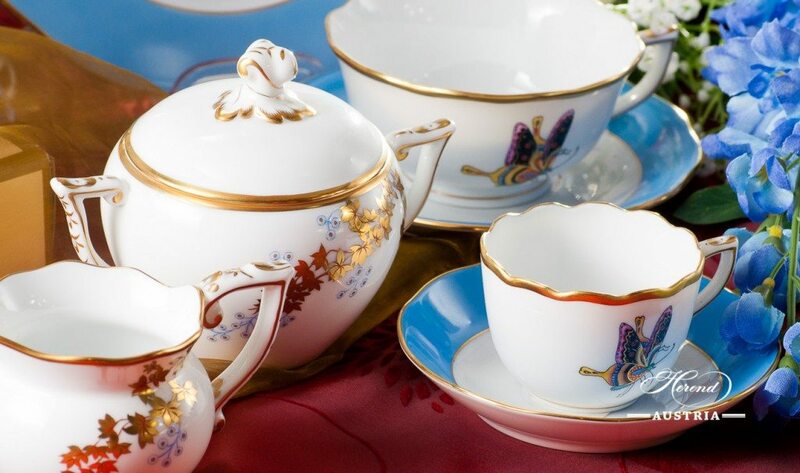 Thanks to the infinite imagination of Herend porcelain painters, Oriental style embellishments are created nowadays as well, the PABA set being a fine example. 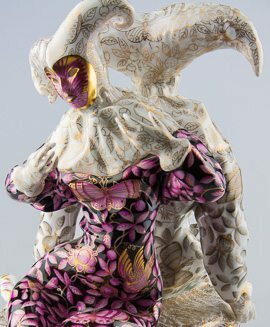 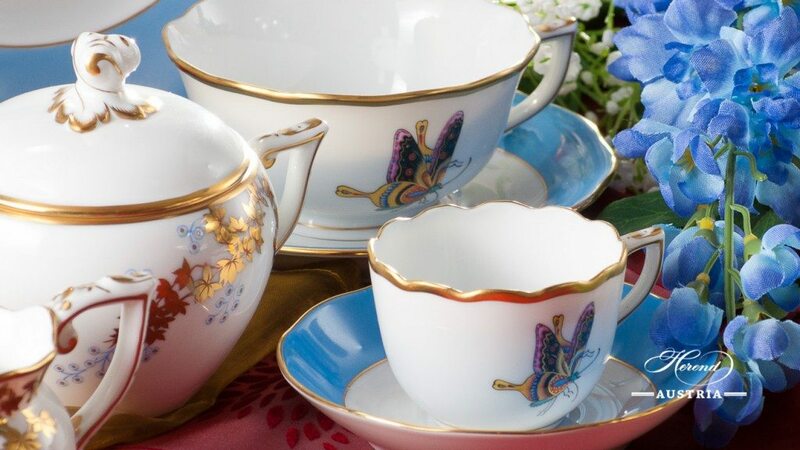 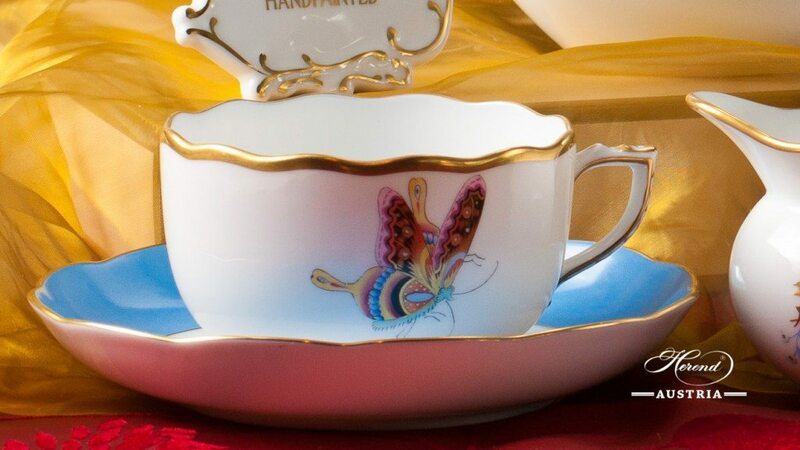 The vivacious Butterfly comprising the motifs is a detail from a 19th century pattern created at the time of Mor Fischer, but the complementary Golden Branch was a Herend invention. 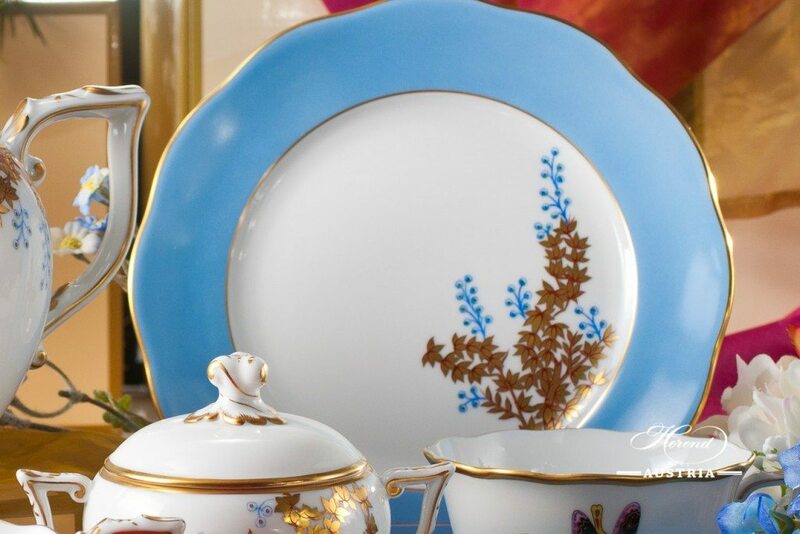 The branch motif painted in shimmering gold and cobalt blue, a typical adornment of Chinese ink drawings, combined with the colorfull butterfly in email paint have created a new and typical Herend Motif reflecting an understanding of the spirit of Chinese Porcelain Painting. 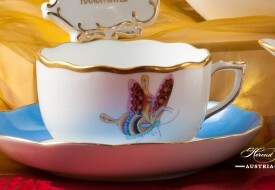 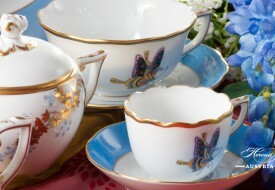 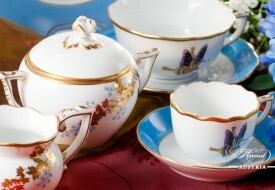 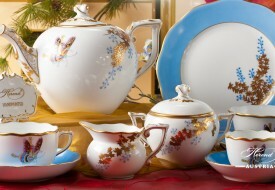 What kind of Butterfly et Bamboo Herend sets do we have?